Dense, rounded dwarf evergreen with small dark green leaves. 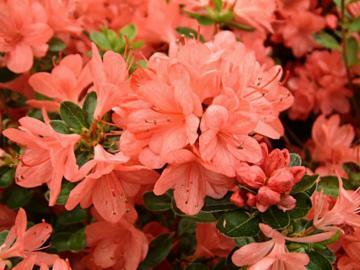 Covered by abundant clusters of striking salmon-pink flowers in spring. Not to confused with Rhododendron rex, which is a large, species Rhododendron.